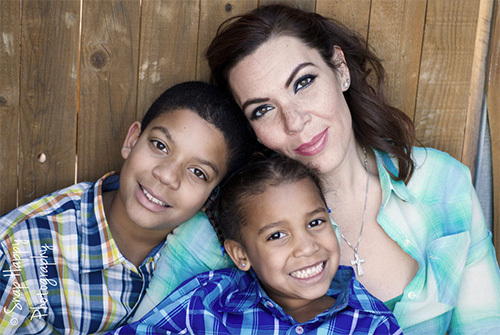 The CoffeeShop Blog: "Don't Lose the Freckles!" Photoshop/PSE Retouching Action! "Don't Lose the Freckles!" Photoshop/PSE Retouching Action! I have a new retouching action to share with you today. I love freckles, but unfortunately most skin smoothing actions will completely blur them away. 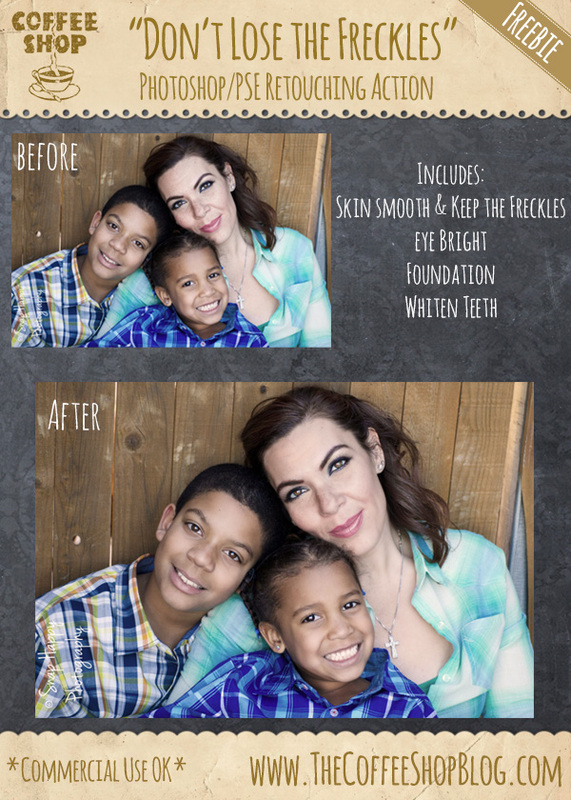 So I decided to write a retouching action that smooths mature skin while leaving most of the freckles intact. This action also has a eye/hair brighten layer, a whiten teeth layer, and a foundation layer and can be used on any portrait for retouching, no freckles necessary! Check out all of my other retouching actions on this page. I used a beautiful image from Bobby from SnapHappy Photography for this tutorial. This is the before image. I love the mother's freckles, but I wanted to smooth and brighten her skin and eyes just a bit. 1. I painted on the layer mask of the skin smooth layer (tutorial) to smooth everyone's skin. I used a higher opacity brush for the mother's skin and a lower one for the children and adjusted the layer's opacity to taste. I made sure to avoid hair, eyes, tips of noses, and lips/teeth. 2. I then adjusted the opacities of the "Freckles" and "Skin Smooth" layers until the mother's skin was smooth but still had beautiful freckles. 3. I painted over everyone's iris and hair with a soft white brush on the "Eye Bright" layer and adjusted the layer's opacity to taste. 4. I used a soft white brush on the "Whiten Teeth" layer on the children's teeth. 5. Finally, I used the eyedropper (I) to grab clean skin color and used a soft brush with low opacity to "paint" out under-eye circles, soften wrinkles, and brighten shaded skin areas. I would love to see your before and afters over on my Facebook page! 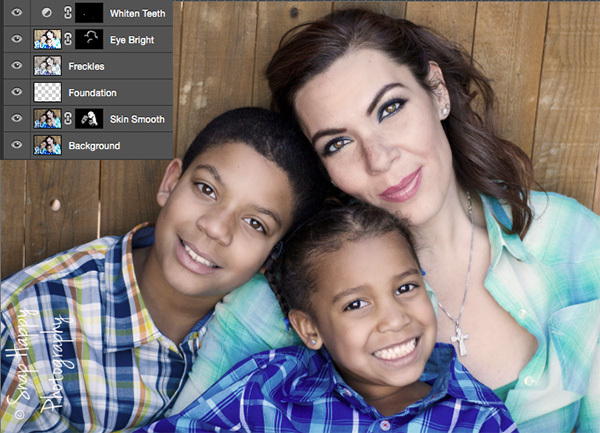 Download the CoffeeShop "Don't Lose the Freckles" Retouching Action. You can also download it here. Thanks for the latest free action. So useful as I always love to keep the freckles! I always love trying out your new actions. Thanks so much!